Home Communication Hands On Where is Howie's Owie? 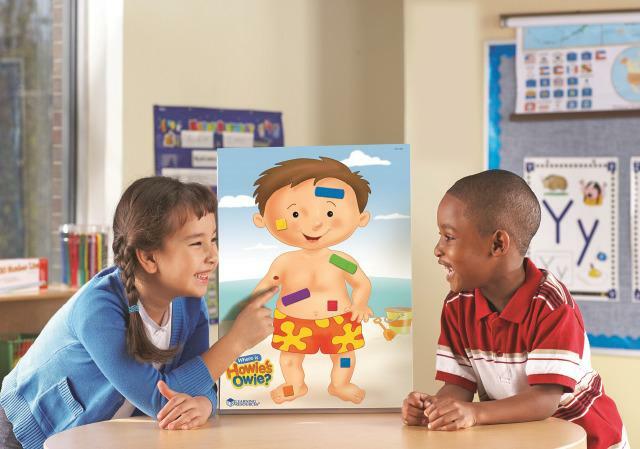 Develop body awareness and vocabulary by using fun bandage magnets to identify body parts. Write & wipe easel has magnetic front with lines on the back for labeling. Includes write & wipe activity easel (folds flat to store), 20 colorful magnetic bandages and activity guide. Dimensions: Easel-H: 19" x W: 13" x D: 11"